Enjoy an incredible and unique experience, enjoy Barcelona’s nightlife! You want to celebrate a bachelor party, a friend's birthday, party in luxurious places or surprise your partner? Our Disco Limobus is here for you! 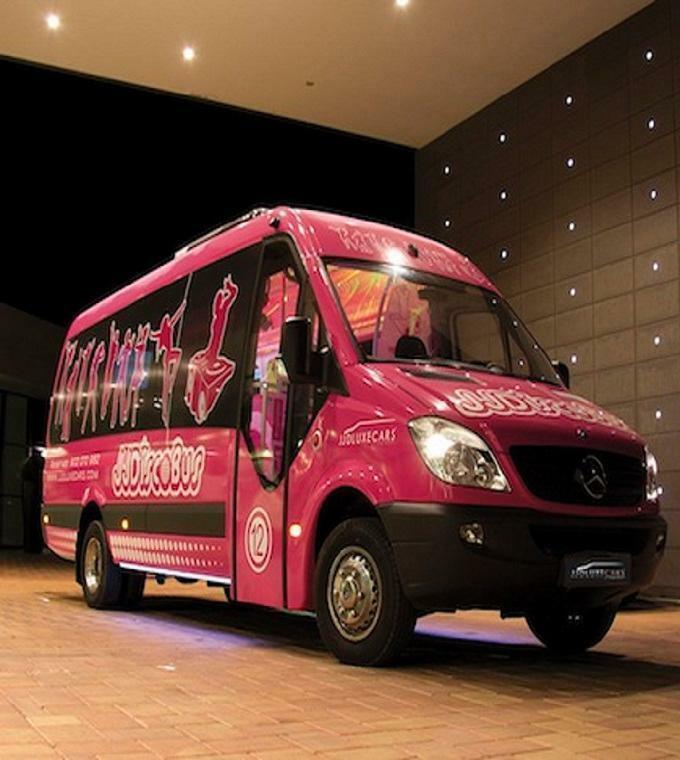 Our bus is a rolling discotheque specially designed for groups (16 people maximum). A 1 hour tour in our Disco Limobus. A luxury vehicle equipped with screens, led, a dance bar. 3 Bottles of Spanish Cava are offered as well as Fashion Spanish Music snacks. You can bring a USB key and listen to the music of your choice. Pickup in the place of your choice. 3 bottles of Spanish Cava. Extras (like for example if you want to ride an extra hour or if you need special services). The entries in the nightclubs.